The Emergency Medical Services program is designed according to national and state standards. Graduates will perform as advanced practitioners and as leaders in the technical supervisory and managerial aspects of advanced emergency care. The Associate in Science Degree is the completion point of the college credit certificates offered by the Emergency Medical Services Department at the Medical Campus. Before entry into the Emergency Medical Services Degree Program, students must complete the training as a First Responder, Emergency Medical Technician, and Paramedic. It is highly recommended that students meet with a representative of the Emergency Medical Services Department at the Medical Campus prior to enrollment in the Associate Degree. Graduates will be prepared primarily for employment in agencies providing pre-hospital emergency medical care and secondarily, for jobs in emergency and other acute care areas of the hospital. The Emergency Medical Services Associate in Science Program provides learning experiences that enable the student to acquire and assimilate the necessary technical competencies to function effectively as a supportive health care provider in the pre-hospital environment. 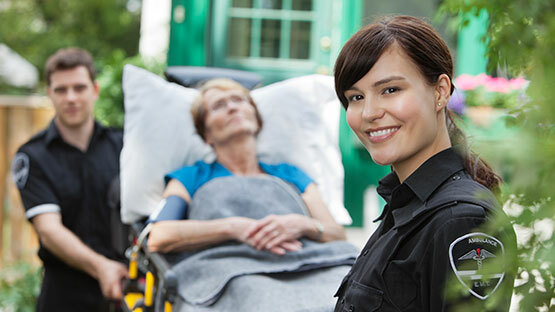 program is designed for certified, professionally employed paramedics. This degree includes courses in professional training, effective supervision and emergency medical services operations. To facilitate the clinical portion of the program, students are assigned to a clinical facility within Miami Dade County. Students are responsible for their own transportation to the campus and to various agencies in the community to which they are assigned for clinical experiences. Students participating in the clinical portion of a program are required to complete the Miami Dade College Student Health Record and criminal background check. This program is highly demanding, and students are therefore more successful if they do not work while in the program. If students must work for financial support, the program strongly recommends a limit of 20 hours of employment per week. Students should also consider family responsibilities before committing to a full-time accelerated program.